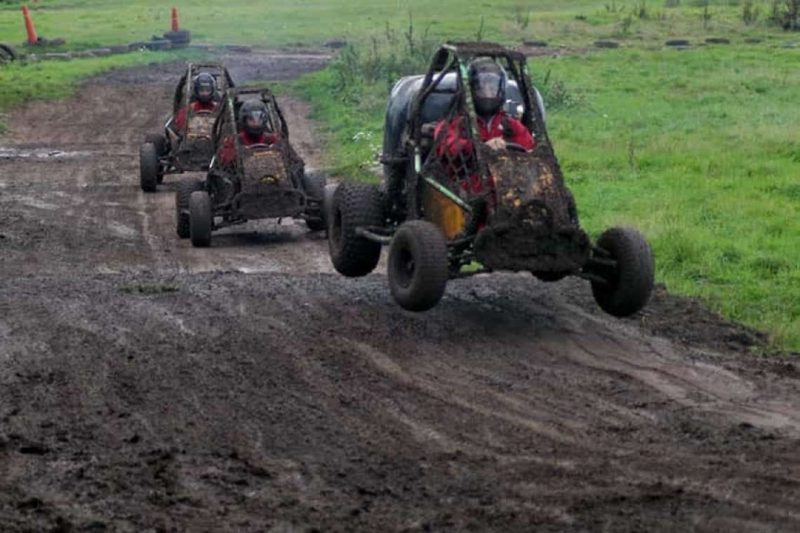 Those with a love of off-road karting will feel amazed to know that there are certain ways to drive so that they can emulate the pros on the race track. It's normal to look back at the moments you are sitting in an off-road go-kart and think of the moments that you could have done so much better. Those split seconds you're curving around a corner, and you can feel that you should have had a closer turn. The moments where being stuck in the pit means missing out on the podium. To take your go karting to the next level, you need help. You want to be the one winning when the flag whips down and not have to worry where your skills went wrong. If you feel the need for speed, you know that off-road go-karting is going to be the best way to quench that need on four wheels. It's exciting, exhilarating and it's a great way to let off some steam. That doesn't mean that you don't want to win! Don't worry, though. Here, we've got all the techniques and tricks that will help you to be a winner on the track. All you need is to develop your skills and sharpen that edge that you have, and you can drive like your favourite pros on the track. Let's go. All of the professional drivers out there go out on the road with a racing strategy. Formula 1 fans will know all about this, but a racing strategy is a meticulous plan that is detailed down to achieve a specific goal. For most drivers, the goal is to win the race, and this should be your goal, too. Keep thinking long term - not just at the rest of the lap ahead, but the next ten laps. Eyes on the prize; the more you see ahead, the better you can do. Watch the drivers ahead of you for any weaknesses. Once you notice that their concentration or techniques have dipped, you can start your takeover attempt. Think about the kart. Your monitoring of the engine and tire temperatures as you race will matter as to whether you have to stop in the pit at any point. Always allow your kart to build up to full power, before going full throttle. If you start with full throttle, you're going to do more damage and have to bow out early. Any delays can stop the win! Where you can, watch the karts behind you. When drivers begin to catch up around certain corners or straights, adjust your technique and focus on those areas. Don't lean into the corners. It's tempting to lean your body toward the apex but avoid it. Placing more weight over the inside wheels is not what you need. Sit up, sit square and keep the weight distributed equally, so that you don't fumble coming out of the corner. Always be aware on the track. A million things are going on from the noises to the kart to the other drivers. It pays to be alert and wary as to your surroundings. One thing that the best racers have in common is speed maintenance. Emulate Vettel and Hamilton by keeping the ride smooth. To do this, you need to make sure that you're braking in all the right places. Doing so too hard and too late can compromise holding the line of your race and you could end up going off kilter. Fortune favours the brave in life, but in racing, it's stupid to speed into every single bend. You need to have a smooth ride if you want to succeed, so don't leave your braking until the last moment. Once you start driving a little softer, you'll notice a more significant difference as you go around the off-road track. If you want to beat your competition, you should think about nailing the perfect start. The combination of composure and concentration is all you need to race away and beat the lights. Take a deep breath on the line and focus on the light change. Relax your foot muscles when you cover the accelerator and wait. Green lights up and press down and go. Once you master this technique, you'll be charging away from the line in no time, putting yourself in the winning position for every lap. Don't move your hands on the wheel. The steering is sensitive, more than a regular car, so keep your hands at the "quarter to three" position and don't let go. Kart brakes only act on the rear wheels, and the best way to ensure safe braking is to hit them hard at first, then release the brakes slowly as you approach a corner. This can help you to take the turn smoothly. A big mistake most racing drivers make is not using all of the track. You can use as much of it as you like when you race, and the wider you make each corner, the easier it'll be to speed on. Driving like the pros isn't the same as being in a regular car. Enjoy yourself and relax and feel that adrenaline while you race. Don't make rash decisions and have fun; that's the aim!